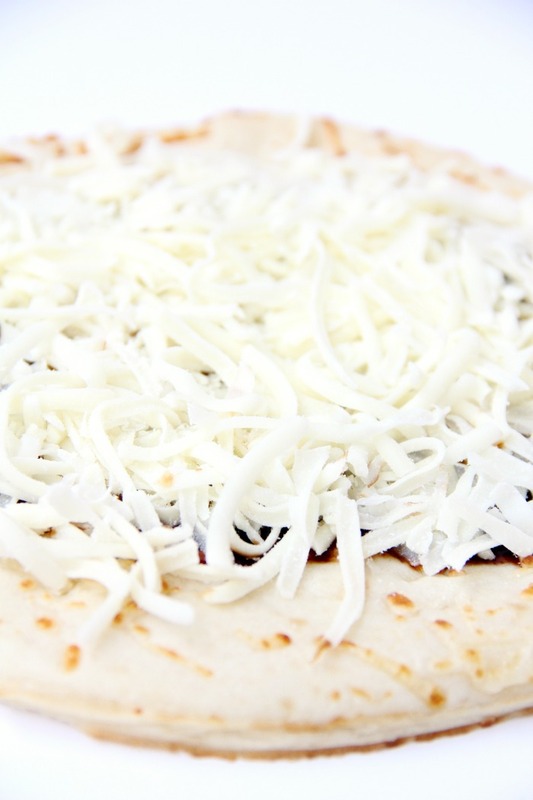 Air Fryer Pizza – Crispy and flavorful pizza baked right in the air fryer! 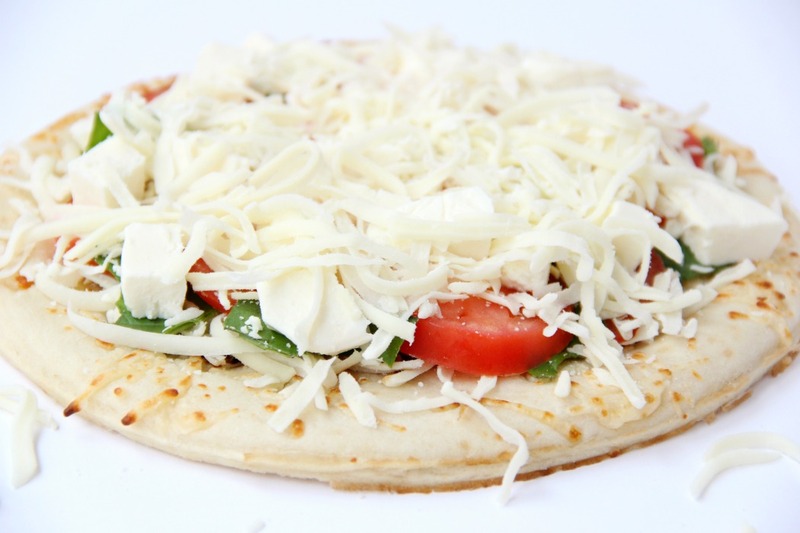 Add your choice of toppings for a quick and tasty meal! I continue to find more and more ways to use my air fryer. It has really made life easy, especially during the week when we’ve had a long day and have no interest in making an elaborate meal. Who am I kidding? When have I ever made an elaborate meal during the week? We like to keep things easy around here. Easy BUT delicious. 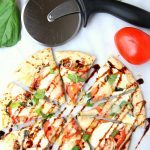 My post today isn’t as much of a recipe as it is just a confirmation that you CAN make pizza in your air fryer. I’ve never had any problems with any of the toppings flying around. Some people place a trivet over their pizza while it bakes, but I haven’t needed to use one. I made a margherita pizza, but you can add whatever toppings you prefer. I started with adding some balsamic drizzle to the crust. Sometimes when I add more cheese, I find I do need to bake it a bit longer. Just keep that in mind. 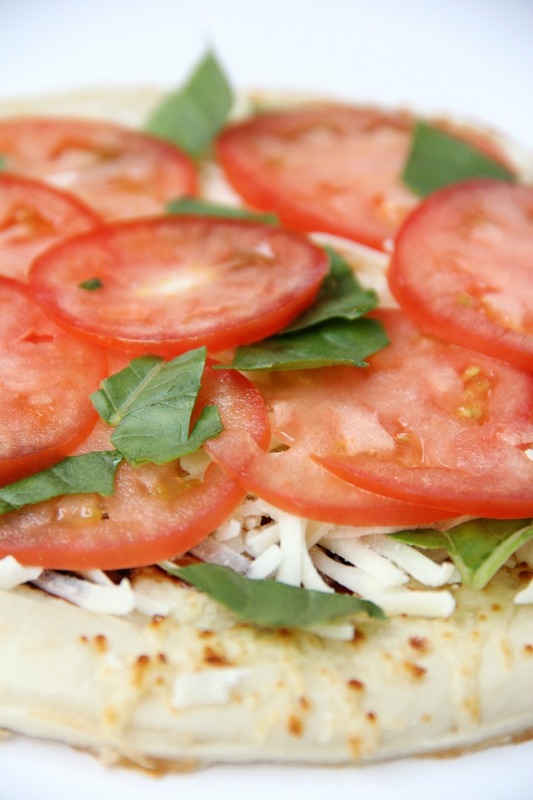 Now start putting your toppings on. Same rule of thumb as the cheese. Don’t go overboard. 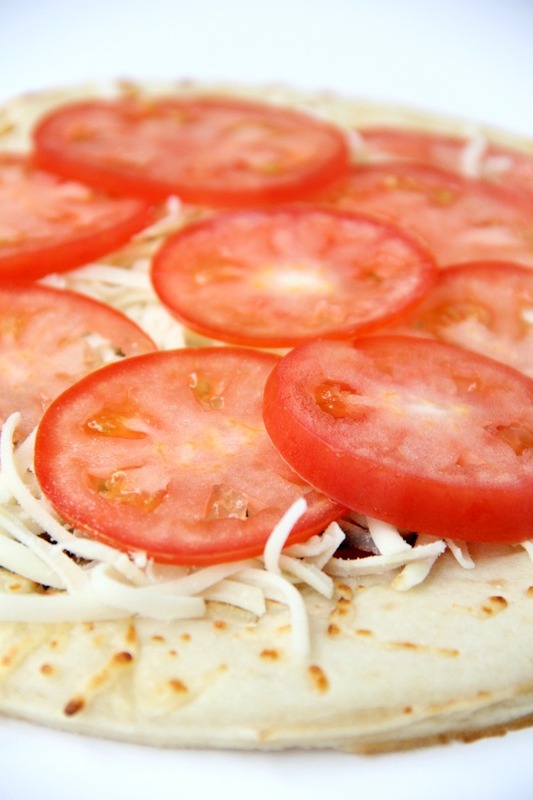 I thinly sliced a Roma tomato and placed the slices around the pizza. I strategically placed some fresh basil in between the tomato slices. Sprinkled a couple mini cubes of mozzarella over the top. And then topped it all with more cheese. I’m such a hypocrite. Please remember what I said about the cheese. I’m from Wisconsin so I just can’t help it. You? I’m sure there’s help for you. You’re looking at an “at least 10-minutes baking time” pizza here. That’s just because I went a bit overboard (which I like to do). So remember, do as I say, not as I do. 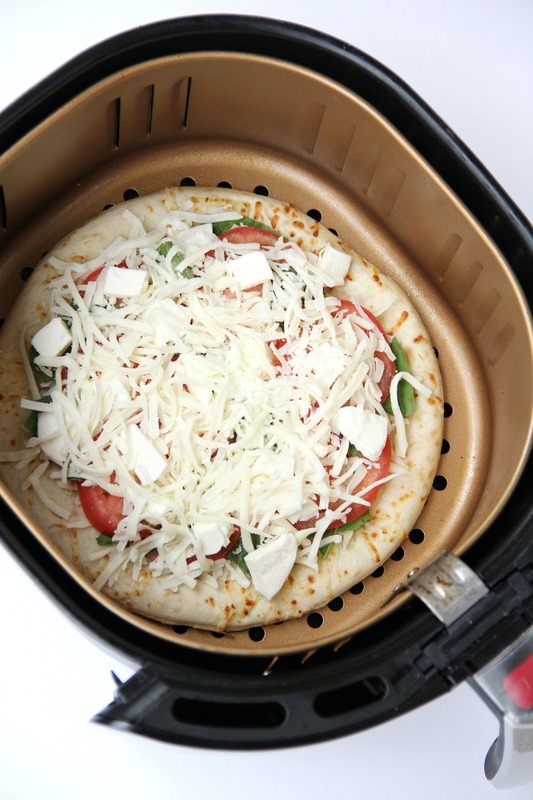 Now get that pizza pie in the air fryer basket! A 10-inch crust fits perfectly into the basket. What you get is a pretty delicious pizza. 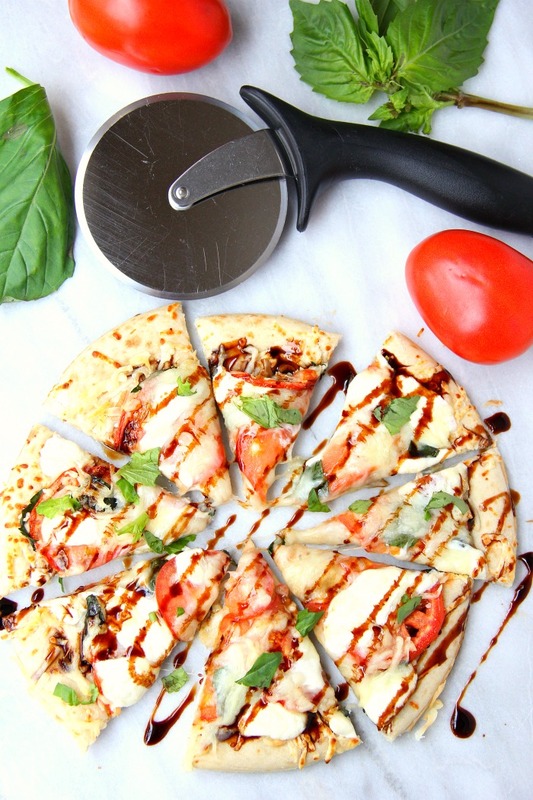 A little more balsamic drizzle and fresh basil over the top of my creation and I was ready to eat! So, pizza in the air fryer? Yep, totally possible. I wonder what I’ll discover I can cook in this beauty next week? What have you made in your air fryer that may surprise me? Make sure to share in the comments below – and you’re more than welcome to check out the rest of my air fryer recipes, here. 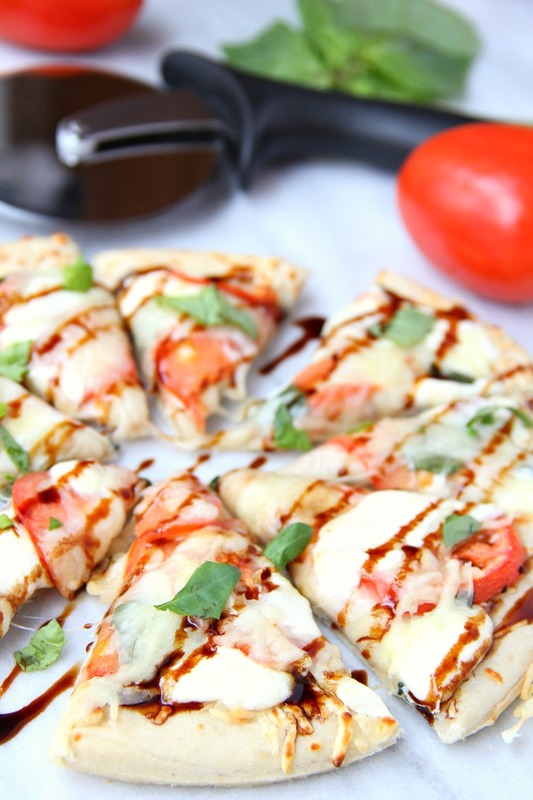 Crispy and flavorful pizza baked right in the air fryer! Preheat air fryer to 350º Fahrenheit. 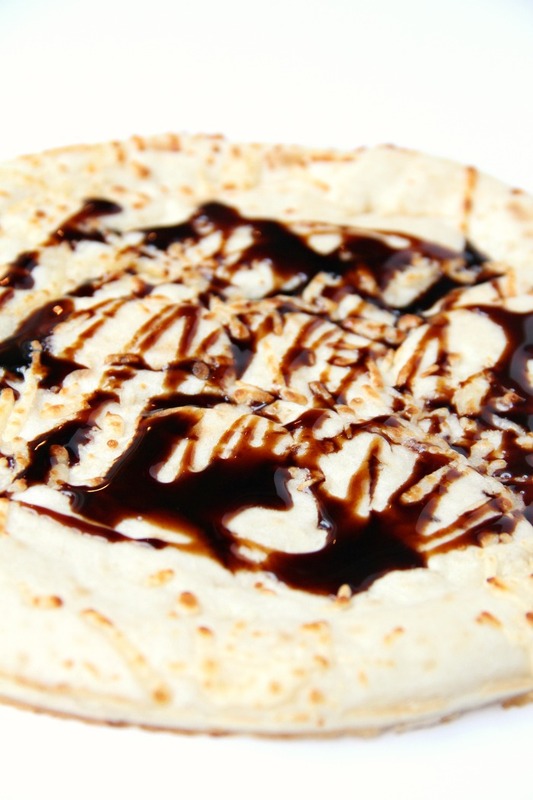 Using a spoon, spread the pizza sauce on the pizza crust (I used balsamic drizzle rather than pizza sauce). Add your toppings (don’t overdo it or it will take too long to bake). 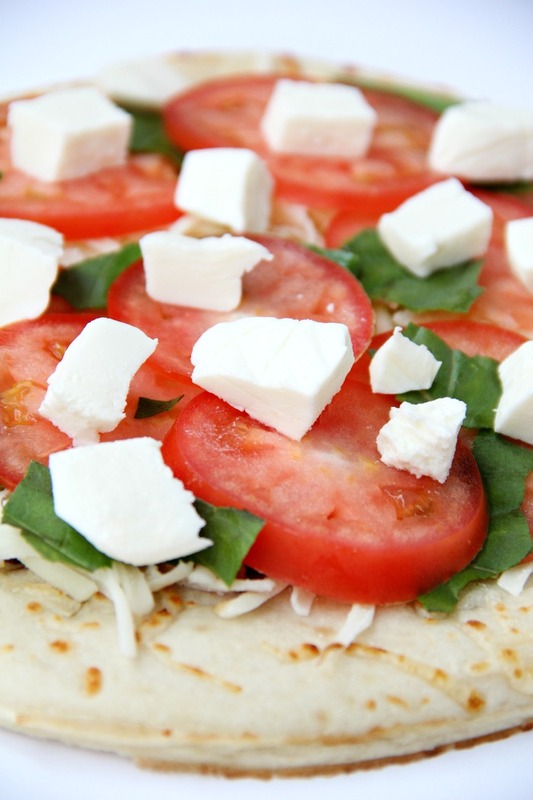 Sprinkle mozzarella cheese over the top of the pizza. Bake for 8-10 minutes or until cheese is bubbly. What dough did you use? 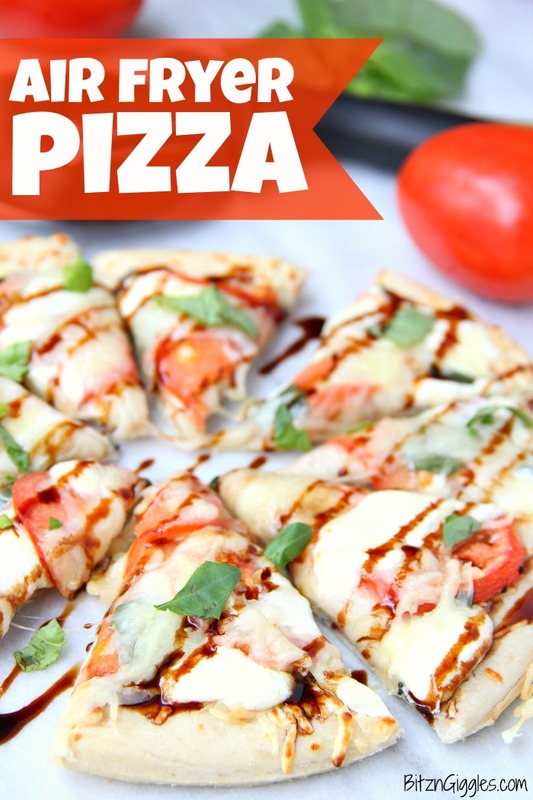 I used 10″ pizza crusts from Boboli.